John Marshall IT is the first school in the State of Ohio to focus on Computer Science. 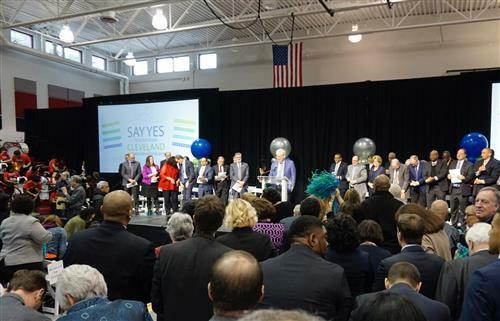 Our team is leading the #CSforAll movement in Cleveland as a pioneer in IT workforce pipeline development. We are excited about our growing partnerships with universities and IT professionals. 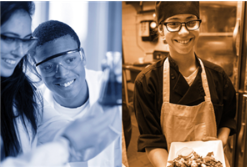 Our students have access to an early college curriculum with AP Courses and College Credit Plus. Our IT Pathways offer experiences in Software Development, Health IT, and Cyber Security. Information Technology is changing our world and creating new jobs every day. 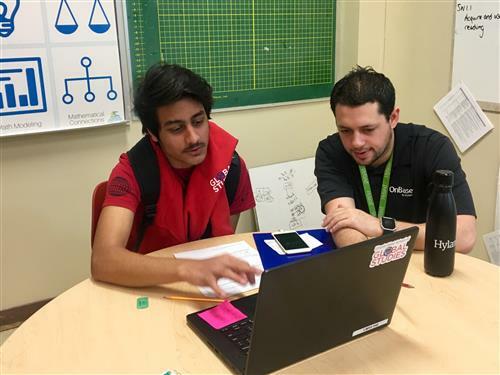 We are one of the first schools in the nation to focus learning around computational thinking skills which give students a competitive edge in their future. We believe students learn best with challenge and support. Our team has worked hard to provide a strong academic culture where all students are challenged. Our small school environment provides a family atmosphere where each student is appreciated and supported individually. This challenge and support helps build the skills and confidence our students need to be successful. You never know which of our students may be the next Steve Jobs, Sheryl Sandberg, or Katherine Johnson. 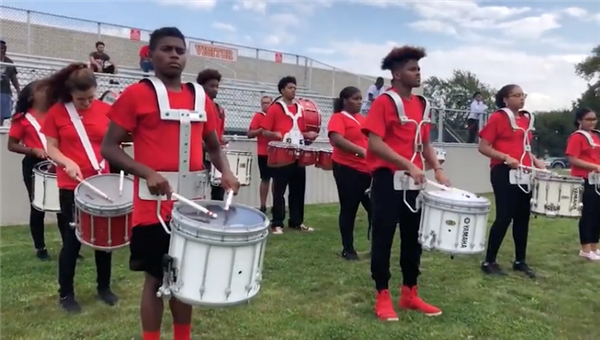 11/14/2018 -- There hasn’t been a marching band at a CMSD high school in years -- until now. The Lawyers of John Marshall Campus are marching to the beat of their own drums, literally. 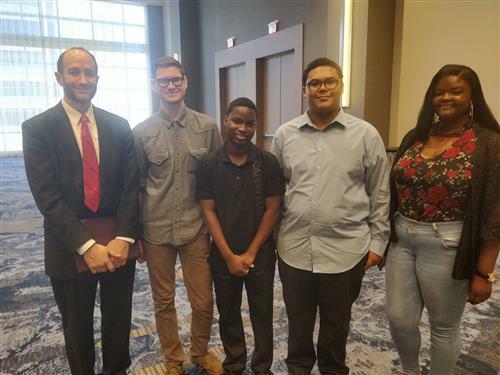 Seven students spent virtually all of last school year upgrading the website used by the Federal Bar Association’s Northern District of Ohio Chapter and developing an app that made the site mobile friendly. The FBA, which has more than 500 members, rolled out the work Tuesday during its annual State of the Court luncheon at the downtown Hilton hotel. 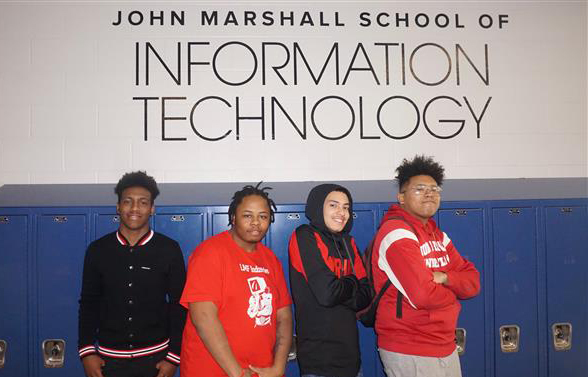 When four friends from the John Marshall School of Information Technology discovered all the doors that coding can open, their response was not to keep this valuable information to themselves. 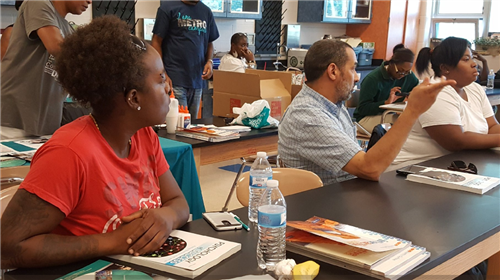 12/5/2017 -- The TEALS program brings experienced computer science professionals into classrooms to support teachers and give students real-world context.